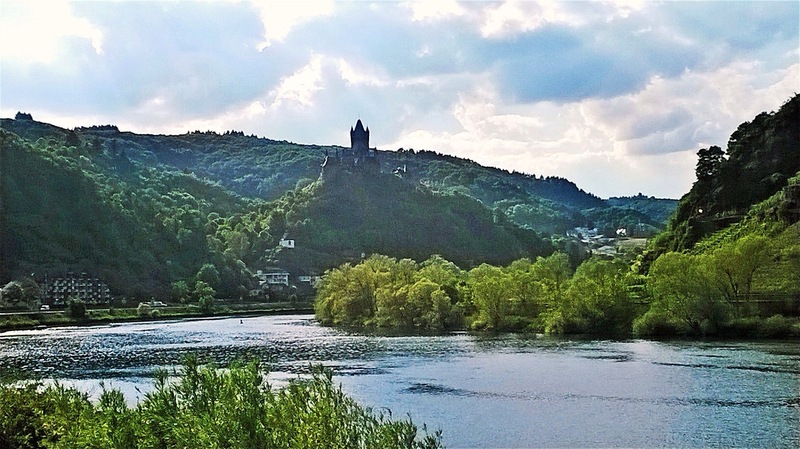 An interesting little article about Cochem from the blog Kiddo In Awe. If you are looking for something really “Christmassy” in December, this event could be what you are looking for. It is a live nativity play in the courtyards of the beautiful Reichsburg castle in Cochem, which is well worth a visit in its own right and Cochem is a lively and interesting town too. The play is conducted in German, but I attended a similar one in another part of Germany and it really did have a magical feel for both children and adults alike. At the end there will be Christmas market stalls selling seasonal foods and other bits and bobs. Click here to go to the English webpage. Cochem has been listed as one of the must see places before you die on the “Places To See In Your Lifetime” and not without very good reason. This idyllic town has some of the best examples of “fachwerk” (timber framed) buildings in the region and arguably in Germany, all below the Reichsburg fortress that stands guard over the strategic bend in the river. The place is very popular with tourists from all over, and as such there are plenty of good bars, restaurants and cafés to rest your weary feet after a long day exploring all this exceptional place has to offer. Oh, and don’t forget to try the Mosel wine ice cream I told you about before! To see the full article on “Places To See In Your Lifetime” which has some great pictures, click right here.